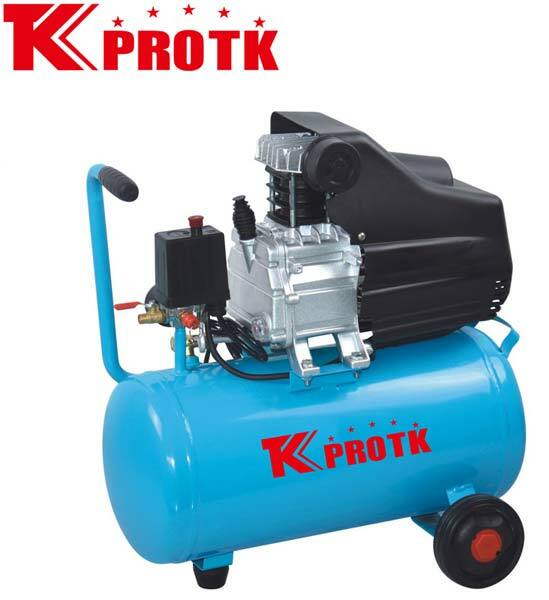 We are reckoned as the most reputed manufacturer, exporter and supplier of Air Compressor (TK-BM24) in Yongkang, China. These unique compressors are manufactured using premium quality raw materials and components in compliance with international quality standards. The rugged design, excellent functionality and fine finish have increased the demand for the product worldwide. We are known to handle large orders at affordable prices. Two metal Pressure Gauges,Metal Muffle,two wheels,L metal handle,a ball valve,the cover is same as mine.